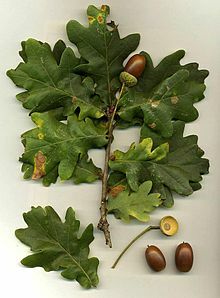 An aik is a tree or shrub in the genus Quercus (Laitin "aik tree") o the beech faimily, Fagaceae. Thare are approximately 600 extant species o aiks. This page wis last eeditit on 22 Mairch 2017, at 18:11.